With fresh competition in the form of the all-new 2019 Subaru Forester, Bermaz Auto Philippines, the official distributor of Mazda vehicles in the country decided to slash the price off the all-wheel drive-equipped variants of the CX-5 compact crossover. Until the end of the month, the CX-5 2.5L AWD Sport and 2.2L AWD Sport Diesel can be had with a cash discount of P 200,000 and P 150,000, respectively. This brings the price of the CX-5 2.5L AWD Sport to P 1,780,000, effectively making it cheaper (albeit, temporarily) than the Forester’s top-grade 2.0i-S EyeSight. Meanwhile, the CX-5 2.2 AWD Sport Diesel goes down to P 2,080,000. As a refresher, both of these models carry Mazda’s i-ACTIV AWD system which uses 27 various sensors to make it a predictive, rather than, reactive AWD system. 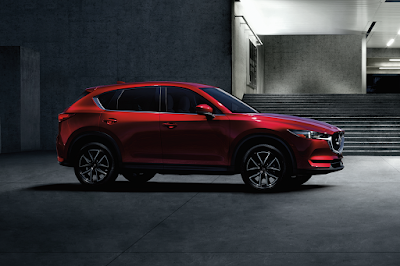 The CX-5 2.5 AWD Sport uses a 190-horsepower, 251 Nm of torque Skyactiv-G gasoline engine while the CX-5 2.2 AWD Sport Diesel uses a 175-horsepower, 420 Nm of torque Skyactiv-D diesel engine. Both models offer a 6-speed automatic transmission. Apart from offering great value, these CX-5 models, like all other Mazdas, have Yojin-3—a 3-year free preventive maintenance service (PMS) package, that’s worth at least P 60,000. The market is shaping up to become a crossover buyer’s market, so now’s a great time to shop for some great deals. I think those values are close to the real price range of Mazda CX5. repair racket that could've cost me more than 150k. Ticking sound in the fuel injection their diagnosis, change the whole injection syatem and a major belt. I insisted that shouldn't be, my pickup juat passed 3 yrs but is 11k in the odometer. And I'm sure the fuel injection is working fine becauae there's no loss of power. To make the story short, they relented. My final bill 4,500. The service manager wouldn't clearly say it but I know it came to just some tighening of some bolts. You do realize you're talking about the BT-50 which is basically a Ford product, right? Yes a Ford product but it was the Mazda dealership that attempted to charge 150k for a whole injection system replacement at 11k in odometer when adjustments would suffice. @Al no engine/obd code just clicking sound?